Apache is one of the most widely used Web server programs because of its many significant features like multiple website hosting and compression methods. PHP stands for a recursive backronym “PHP Hypertext Preprocessor.” It is one of the most used server-side scripting languages used extensively in competing with others like Microsoft’s ASP. It acts as a widely used tool for creating powerful, dynamic webpages. Win32 stands for the Windows 32-bit operating system platform. This represents the Microsoft Windows version released after Windows NT. 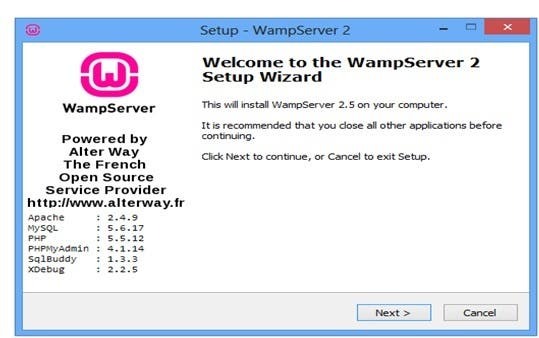 In this article you will learn how to install Apache and PHP under Win32 using WAMP, which stands for “Windows Apache MySQL PHP." This software provides an integrated installation of all the required Web development tools for the Windows operating system. 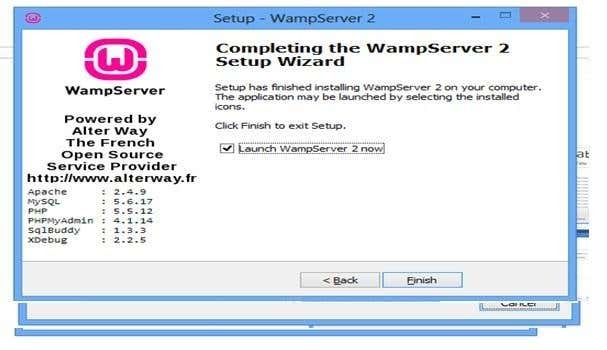 To install it on Windows, download the software from http://www.wampserver.com/. You'll get an executable version of the setup file for Windows and all you'll have to do is initiate the setup. Windows of certain versions may first show the following alert. You should then provide the required access permission to provide changes to the root folder of the OS installation drive. On proceeding to the next option from the welcome screen, you get to select the directory where the installation process is required to be done. Select the directory and click next to proceed. 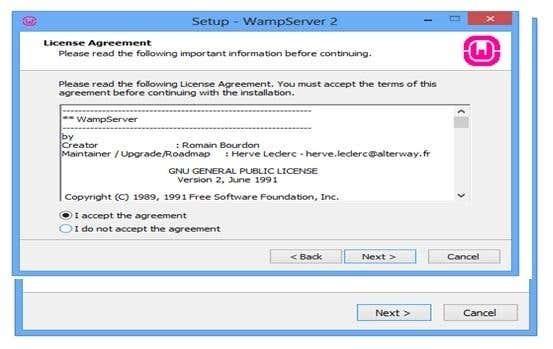 Now accept the License agreement for the usage of the software and then proceed with installation. Then select the required shortcut icons for development and proceed with the installation by clicking the next button. Now you can review all the options above. Click Install button for the setup to proceed and you'll be able to see the installation status bar. 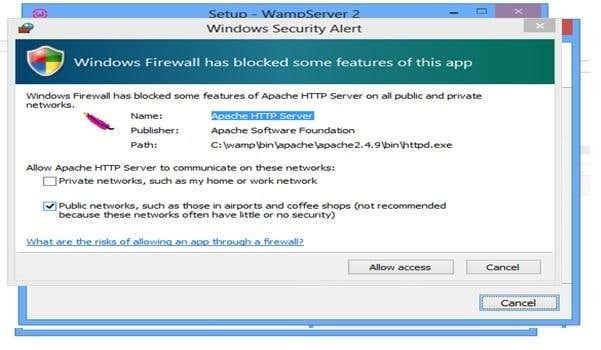 You'll get another firewall block for Apache. 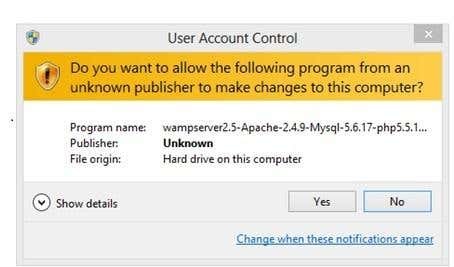 Just give the required permission for the setup to complete. Next, assign the required mail paramaters for the PHP ini file settings. 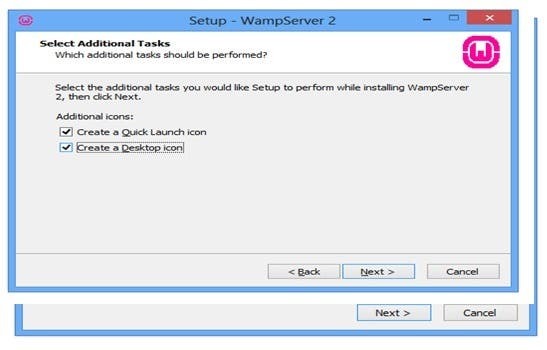 After successfully installing WAMP in the system select the Launch option or initiate the quick launch icon/desktop icon. The WAMP icon in the corner of the taskbar will change from its offline red color to online green. 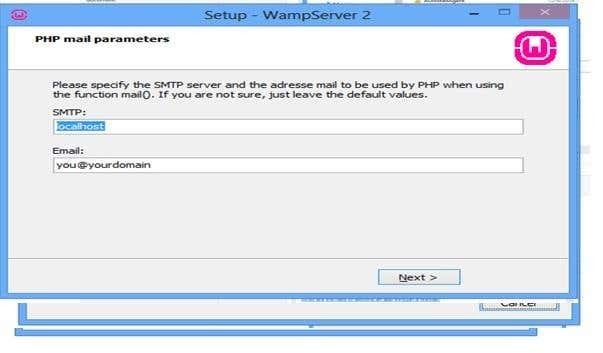 You have successfully installed Apache and PHP in your system using WAMP! You can now check the installation by opening the browser for the link http://localhost/. You'll be able to see the installations done and their versions and other details. 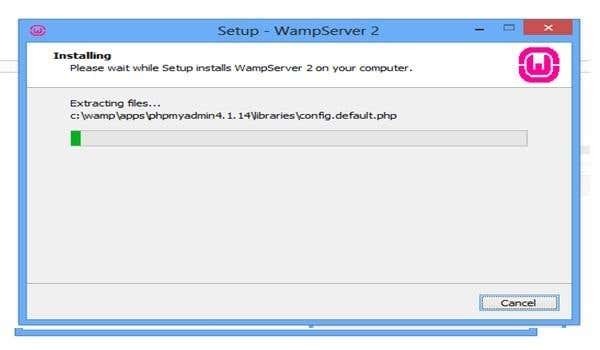 We can also use XAMP software which follows almost the same installation process for easy Apache and PHP installation. Alternatively, you can also perform a manual installation of Apache and PHP in the system by performing the following process. For installing Apache, use this link: http://httpd.apache.org/ . To download Apache for the Windows platform, your system's operating system should be higher than NT. Then download the setup file required from the Apache website and make the required msi file settings. You can also customize the advanced installation process based on the development required during this step. All the required msi file settings and the values are explained in detail in this link: http://httpd.apache.org/docs/2.2/platform/windows.html. 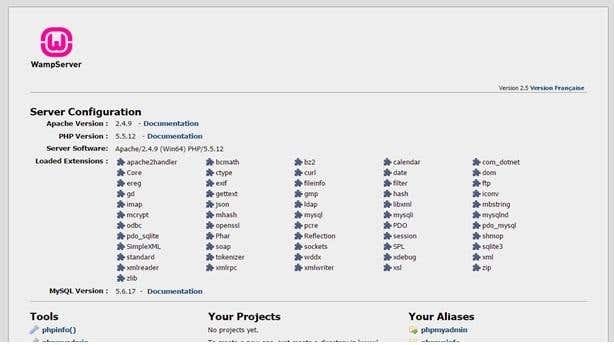 For PHP manual installation, use http://php.net/downloads to download the required version of PHP based on the requirement. 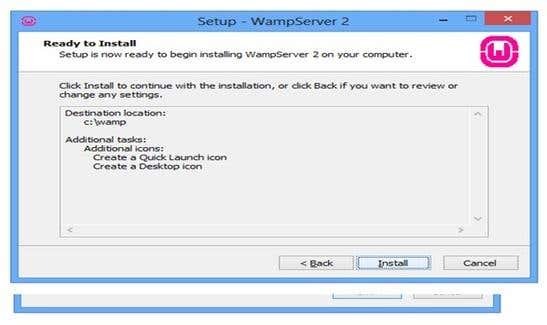 Follow the steps mentioned under http://php.net/manual/en/install.windows.php to perform the required setting changes and additional installation steps required.